The Gas Fields off Gaza: A Gift or a Curse? Thirteen years after the discovery of gas fields off the coast of Gaza, efforts to develop them remain deadlocked despite the international backing the project enjoys. Meanwhile the besieged Gaza Strip suffers prolonged power cuts and the Palestinian economy bears a huge financial cost - as do the Western taxpayers keeping it afloat. 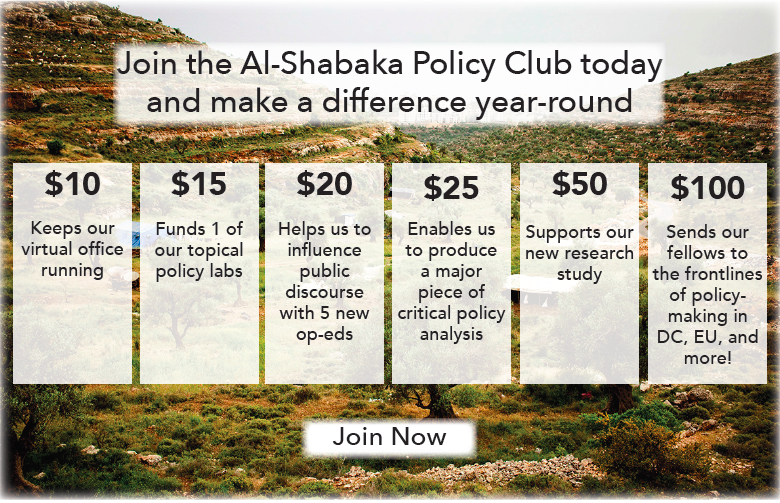 Al-Shabaka Program Director Victor Kattan discusses the actors and amounts involved as well as the reasons why the project has stalled and recommends some policy options to break the deadlock. The Palestine Electricity Company and the Egyptian General Petroleum Corporation recently concluded an agreement to import Egyptian gas across the Rafah border. In time, this agreement could bring relief to the residents of the Gaza Strip who have been plagued by chronic fuel shortages with power outages of up to 18 hours a day. The gas could also benefit the Palestinians of the West Bank whose electricity is imported from Israel at high prices. But why does the Palestinian Authority even need to purchase and import gas from Israel and Egypt at considerable expense when two gas fields remain undeveloped off the Gaza coast? The question is pertinent because there has been an agreement for 13 years between Consolidated Contractors Limited (CCC), the British Gas Group (BG Group) and the Palestine Investment Fund (PIF) to develop and commercialize the Gaza fields. In 2000 and 2002, the development studies undertaken by BG Group concluded that the fields were economically feasible. In other words, Gaza, rather than being one of the poorest places on earth, could be one of its richest, if only the development and commercialization of this precious natural resource off its own coast could be given the go-ahead. Moreover, the gas would benefit the Palestinian people as a whole. For example, West Bank Palestinians could also utilize the gas from the Gaza gas fields to power electricity stations in the West Bank, and reach self-sufficiency in electricity generation that would achieve significant savings to the economy. Indeed, in 1999 the late Yasser Arafat famously hailed the discovery of the two gas fields as “a gift from God to our people”. But since their discovery 13 years ago, not a single cubic foot of gas has been extracted from the ocean floor. So why is the gas still in the ground? To answer this question, it is necessary to revisit the major actors involved in the agreement, as well as the agreement itself, before proposing some policy options on how to get the fields developed. Within Gaza’s territorial waters, there are two main gas fields. Gaza Marine, the main field, is located 603 meters below sea level, 36 kilometers west of Gaza City. The second smaller field, the “Border Field” straddles the international boundary separating Gaza’s territorial waters from Israel’s territorial waters. According to the BG Group website, the reserves found in the two wells are estimated to be 1 trillion cubic feet (tcf). CCC believes that there are 1.4 tcf. To put this into perspective, Iran has 991.6 tcf of natural gas so this is not a massive quantity of gas, but it is still more than sufficient to meet Palestinian needs for the next 15 years, the time when it is estimated that the resource would be depleted at current Palestinian consumption levels in Gaza and the West Bank. The three partners that subsequently came together to develop the fields off Gaza is each a leader in its sphere. BG Group is one of the world’s major energy giants, based in England with operations in 25 countries across the globe and the largest supplier of liquefied natural gas (LNG) to the United States. CCC, founded by three Palestinian businessmen in 1952, is the largest construction company in the Middle East and is now headquartered in Greece. In 1999, when the Gaza agreement was concluded, CCC had constructed all of BG Group’s facilities in Kazakhstan. As for the PIF, which was founded in 2003, it is a publicly owned company based in Ramallah and similar in structure to a sovereign wealth fund - although instead of investing surplus money in foreign markets, it reinvests this money in Palestinian resources. In 1999, the Palestinian Authority (PA) granted an exploration license to BG Group and its partners covering the entire marine area offshore from Gaza. The 25-year agreement gives BG Group, the operator, the right to explore Gaza’s offshore marine area for gas fields, to develop those fields, and to build gas pipeline infrastructure. According to the limited information provided on the website of BG Group, it “holds 90 per cent of the equity in the license, which would be reduced to 60 per cent if the Consolidated Contractors Company [its current 10 per cent partner in the license] and the Palestine Investment Fund exercise their options at development sanction”. At development sanction, CCC chose to acquire an additional interest of up to 30 per cent in the project so that the proceeds from the sale of the gas would be divided between BG Group (60 per cent), CCC (30 per cent), and PIF (10 per cent). It is worth noting that this agreement only accounted for the proceeds that would be shared amongst the principal investors, because 50 per cent of the proceeds of the gas were to go to the PA in the form of royalties and taxes even though it had not invested a single penny in the project.1 In addition to the direct revenue that the PA would generate from the commercialization of the gas fields, the Palestinian economy could make more than $8 billion of total savings in energy costs over the life of the project, if the gas were used for generating electricity in Gaza and in the West Bank. There would of course need to be accountability measures in place to ensure that the funds did indeed go to benefit the Palestinian people. It was understood that the proceeds would go to the Palestinian treasury which where import and export duties go, where Israel deposits the Palestinian taxes that it collects, and where European and United States aid money goes. Although the Palestinians have established safeguards against corruption to meet international standards, the Palestinian press and public would obviously have to remain vigilant. In the first few years of the project when the wells were drilled the investors spent $100 million and development studies were undertaken by BG Group in 2000 and 2002. These studies concluded that the Gaza development would be “technically and economically feasible”. Indeed, CCC told me that the Gaza Marine project was “extremely feasible”. 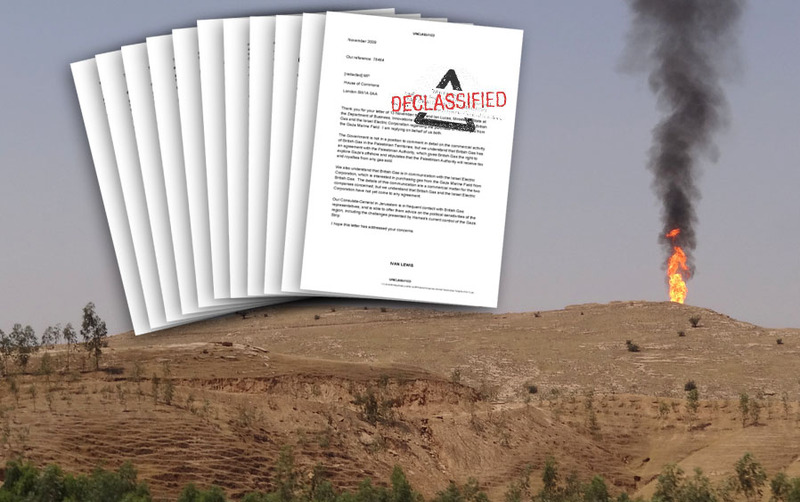 According to the information provided to Al-Shabaka as a result of a Freedom of Information Act request from the Department for International Development (DfID): “BG Group drilled two wells in 2000 which proved the existence of a natural gas field. Since that time BG has investigated various options to commercialize this resource but without success. These have included sale of the gas to Israeli power generators, both state and privately owned and export of the gas to Egypt for onward export to world markets. In 2006, the Israeli government intervened via HMG [Her Majesty’s Government] to persuade BG to return to negotiations with Israel. BG withdrew from these negotiations in December 2007. Since that time no progress has been made on the development of Gaza Marine”. What the information provided by DfID does not say is that the primary cause for the failure of the negotiations was due to the insistence of the Israelis to purchase the gas in Gaza at prices below market value. Israel wanted to negotiate a contract whereby it would only pay $2 per cubic foot rather than the market price of $5 to $7. As a source inside CCC told me: “The biggest resource in Palestine is being held up by the Israelis. If this is resolved it would reduce the subsidy the EU and US gives the PA”. According to Dr. Muhammad Mustafa, chairman and CEO of the PIF, the cost of energy in the occupied Palestinian territories is huge. Petroleum and electricity costs are some of the biggest expenses the PA has because 98 per cent of the electricity in the West Bank comes from Israel. The situation was similar in Gaza before CCC built the power plant (it took over Enron’s 50 per cent share in the project when it went bust). As CCC reminded me, “before the power plant was built in 1999, 50 per cent of Gaza had no power at all”. Dr. Mustafa explained that it would cost $800 million to develop Gaza Marine. No energy company is going to make such a financial commitment unless it can find a committed buyer who will agree to conclude a long-term contract where the price of the gas is set at a price representing market value. This is because as soon as the gas is developed it must be sold and transported to its final destination. The portion of the gas that is destined to the Palestinian market would be transported to the existing power station in the Gaza Strip and the planned station in the West Bank via pipelines. The surplus gas designated for export would be transported via a pipeline to a processing plant on-shore where it would be pressurized and super cooled so that it condenses into LNG. Once converted into LNG it would then be shipped on tankers to foreign markets. The investors would recoup the money they originally invested with a view to making a profit. According to CCC the best plan would be to pipe the gas to El Arish in Egypt where there are already two LNG plants owned by BG Group and Agip (an Italian company) and Union Finosa (a Spanish company). The gas could then be super cooled into LNG and exported to Japan and Korea on long-term contracts. A source in CCC told me he expected such contract could fetch $13 per cubic foot, which is much more than what the Israelis or any European country would be willing to pay for it. An additional benefit of piping the gas to El-Arish is that it would be very easy to take it from there via a short pipeline to Gaza and via the “Arab Pipeline” to the West Bank. The Arab Pipeline has already been constructed and it transports Egyptian gas to Jordan. This pipeline could be also used to transport the gas to the West Bank. From Jordan it would only be necessary to construct a short pipeline to get the gas to the West Bank. However, even if a credit worthy buyer agrees to sign a contract, the developers would still need political and security clearance from Israel to export the gas. Successive Israeli governments since 2000 have refused to provide this. Thus, the developers are faced with an ultimatum amounting to blackmail: either agree to sell the gas to Israel at below market price or don’t sell it at all. As Nabil Shaath told Al Ayyam newspaper (June 7, 2000), “There is a desire on the part of Israel to confiscate our gas that lies in the Palestinian-controlled area, but we will confront such an attempt. We have legal evidence of our right and enjoy support from the British government, our partner in this gas project”. Despite this purported support, the project has remained stalled. 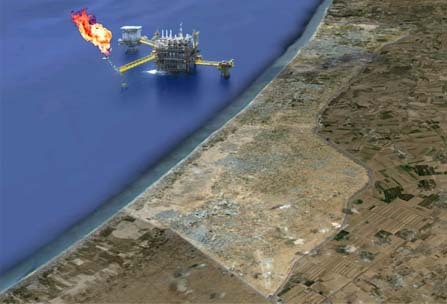 Up to 2009, Israel viewed gas the fields off Gaza as essential to its energy security even though it had discovered the Yam Tethys (Tethys Sea) gas fields around the same time as the fields off the Gaza coast were discovered, because the Yam Tethys fields were nearing depletion. Since 2009, Israel has made large discoveries of gas in the Tamar and Leviathan fields. Tamar, which holds about 9 TCF of gas, is currently under development and is expected to start generating gas by 2013. It will provide sufficient gas to meet Israel’s needs for the next 25 years. Leviathan holds larger gas quantities (~17 TCF), but is further from Israel’s coast, and much more expensive to develop. There is no clear development plan for Leviathan, but when development goes ahead, it would turn Israel into a net gas exporter. 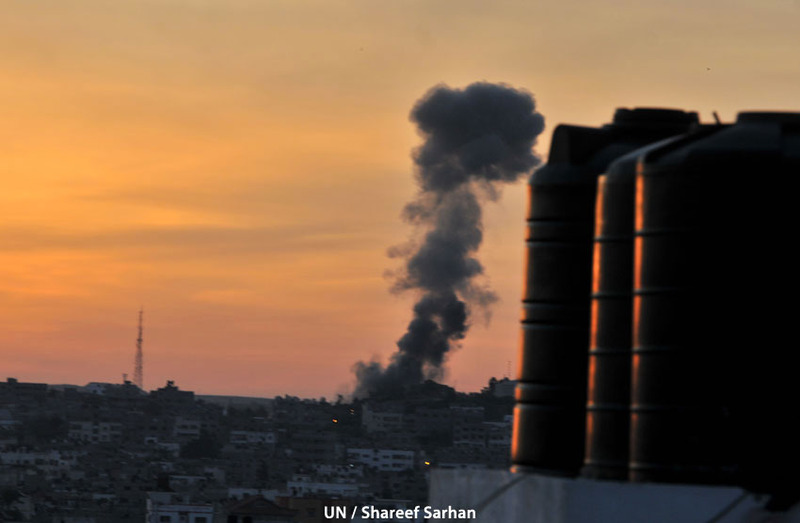 Thus, Israel has its own quantities of gas, and does not need to covet the fields off Gaza. One can only conclude that Israel continues to block the development of the gas fields as part of its blockade against the Gaza Strip. According to senior PA officials, the PA has repeatedly asked former British Prime Minister Tony Blair as the Special Representative of the Quartet, to get a commitment from Israel that would enable the consortium to develop the gas fields in Gaza.3 In February, the Quartet proposed a series of measures to ease Israeli restrictions on the Palestinians in order to restart stalled peace talks. Apparently, this included giving the PA the go-ahead to develop the gas reserves (Ma’an News Agency Report, Feb. 3, 2012). However, at the time of writing, peace talks remain stalled – as does the development of the gas reserves. Should Israel continue to frustrate the efforts to develop the Gaza gas fields, there are several options the Palestine Liberation Organization (PLO)/PA may want to consider. It may want to raise Israel’s blockade of Gaza at the United Nations and the impact this blockade is having on its maritime waters as well as on the Palestinians in Gaza, if it returns to that forum as part of its strategy to become a member-state. This is because a fundamental aspect of statehood is the sovereignty every state is entitled to have over its territory and its maritime waters. Since the gas fields are within Palestine’s territorial waters, which Israel has never contested, the Palestinians are entitled to develop them and to benefit from their development and commercialization. Under international law, every state with a coastline is entitled to an Exclusive Economic Zone (EEZ) extending up to 200 nautical miles from the baseline, within which the coastal states enjoys extensive rights in relation to natural resources.4 Thus, an effective action Palestine could take, apart from joining other international organizations like UNESCO, would be to accede to the United Nations Convention on the Law of the Sea. The PLO/PA may also want to bring the issue before the UN General Assembly in the form of a resolution calling on Israel to relinquish its control over the Palestinians’ territorial waters, and calling on third states not to assist Israel with developing its own gas fields until Israel has honored the agreements it concluded with the PA during the Oslo years and with the gas development consortium in 1999. This could create some of the international momentum necessary to bring pressure on Israel to stop blocking the development of the fields. The General Assembly may even want to recommend countermeasures should Israel decided to flout its resolution especially since natural gas is only a useful commodity if states are prepared to buy it. Pressure of this kind may be the best course of action to take against Israel as part of the quest for self-determination, freedom, justice, and equality, if the gas fields are to become a gift to the Palestinian people, rather than a curse. Al-Shabaka policy advisor Victor Kattan is a Senior Research Fellow at the Middle East Institute at the National University of Singapore. He previously served as Al-Shabaka's Program Director and was a postdoctoral fellow at the Law Faculty of the National University of Singapore. He is the author of From Coexistence to Conquest: International Law and the Origins of the Arab-Israeli Conflict, 1891-1949 (London: Pluto Books, 2009) and The Palestine Question in International Law (London: British Institute of International and Comparative Law, 2008). He was a legal adviser to the Palestinian Negotiations Support Project from 2012-2013 and a Teaching Fellow at the University of London's School of Oriental and African Studies (SOAS) from 2008-2011 where he obtained his PhD in 2012. He worked for the British Institute of International and Comparative Law from 2006-2008, Arab Media Watch from 2004-2006, and the BADIL Resource Centre for Palestinian Residency and Refugee Rights from 2003-2004.